In 1965, the United States faced what was then seen as a startling combination of an unfair criminal justice system, heavy-handed and unenlightened police tactics and a rising crime epidemic. In response, President Lyndon Johnson convened a special Commission on Law Enforcement and the Administration of Justice on July 23, 1965. The commission consisted of 19 men and women appointed by the President, 63 full-time staff members, and 175 consultants. For the next two years, the commission embarked on the lofty and laudable task of exploring every facet of the American criminal justice system and, in 1967, released its final report. The ambitious report, The Challenge of Crime in a Free Society, issued seven objectives and more than 200 specific recommendations. Decades later, their findings are still valid. So what did they have to say? Let's take a look at the objectives they identified as the path to tackling crime and maintaining freedom. First Objective: Preventing Crime: The commissioners made it clear that the first key to addressing crime is to work toward preventing it in the first place. They rejected the notion that crime was solely the problem of the police and courts and insisted on the critical role society as a whole plays in being crime free. They stressed the importance of the family, the school system, and job creation and counseling in developing well-adjusted and productive members of society. They also recognized that a critical component to crime prevention was a surety of being apprehended. That is to say that the more likely one felt they were to get caught, the less likely they were to commit crimes. To that end, they recommended the implementation of computer-assisted command and control systems and predictive policing models to better allocate manpower. Second Objective: New Ways to Deal with Offenders: In recognizing the potential harms that come to a person from incarceration, the commissioners recommended looking for new alternatives to dealing with some criminals. They encouraged the establishment of juvenile justice programs and officers, juvenile courts, and treatment programs that included the use of forensic and criminal psychologists. The goal: encourage rehabilitation and reduce recidivism. Third Objective: Eliminate Unfairness: The commissioners realized an inherent unfairness in the dispensation of justice among the states, which degraded the trust that Americans had in the police force and the criminal justice system. They made recommendations to expedite cases, reduce caseloads, and find alternatives to bail systems that punish the destitute. They also acknowledged the strained relationship between the police and the communities they serve, particularly in urban and poorer communities. To mitigate this, they recommended community relations programs to build partnerships, improve communications and increase trust. Fourth Objective: Enhance Personnel: The commissioners recognized the need for intelligent, well-educated personnel across the criminal justice system. They encouraged programs to encourage hiring and developing better-educated police officers by moving away from a single entry program in which anyone who meets at least the minimum qualifications to be a police officer is hired at the same level. 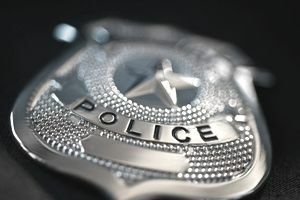 Instead, they recommended a hiring system based on tiers in which officers are given pay and salaries commensurate with experience and education. They also recommended that states establish police standards and commissions to oversee them and to standardize professionalism and training. Fifth Objective: Research: In recognizing the need for new and innovative ways to respond to crime, the commissioners suggested devoting larger amounts of resources towards research. Specifically, they encouraged criminal justice entities to look into studying the impact of crime, the effects of various punishments on crime and ways to improve procedures within the policing, the courts and corrections. Sixth Objective: Money: Controlling crime is the responsibility of the community and the government, but it isn't cheap. The commissioners believed governments should commit more funding towards improving programs and increasing salaries for police officers and other criminal justice professionals. Seventh Objective: Responsibility for Change: Finally, the commission insisted that the responsibility for making changes in the criminal justice system belonged to all. Individual citizens, corporations, universities, faith organizations and governments alike all play a role in preventing and addressing crime in the communities.